Kenneth Noland, “That”, 1958-59, acrylic resin on canvas, 81.75 x 81.75 inches. © 1997 Kenneth Noland, licensed by VAGA, New York, N.Y.
Kenneth Noland famously declared that his breakthrough as a painter occurred when he “discovered the center of the canvas”[i] in the late 1950s. 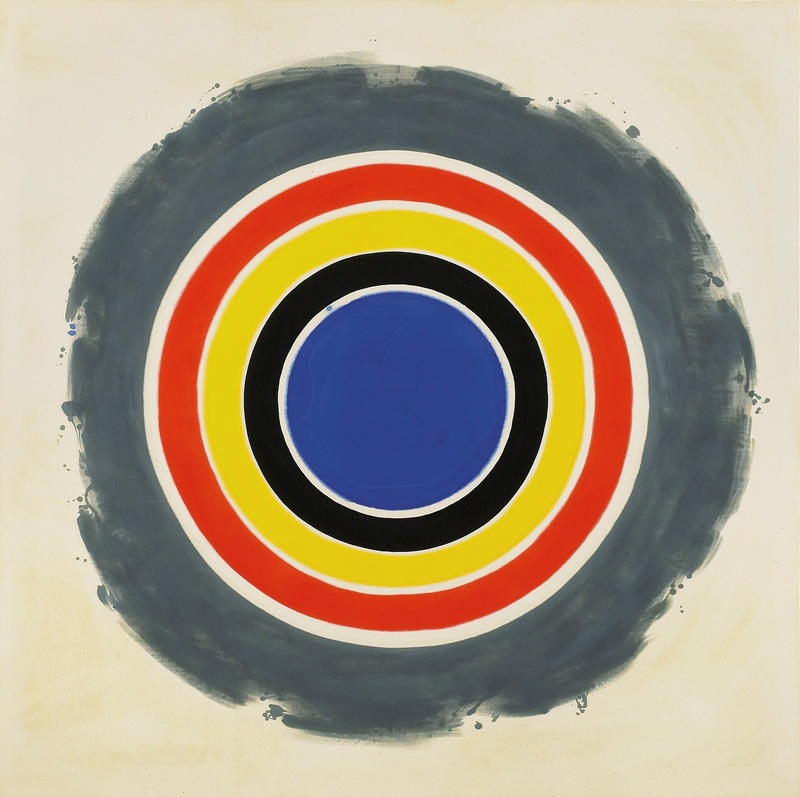 Noland’s “discovery” produced a series of well-known paintings executed between 1958 and 1962 based on the placement of concentric circles of various colors in varying widths radiating out from the exact center toward but never reaching the four edges of the picture, usually comprising a six-foot square. 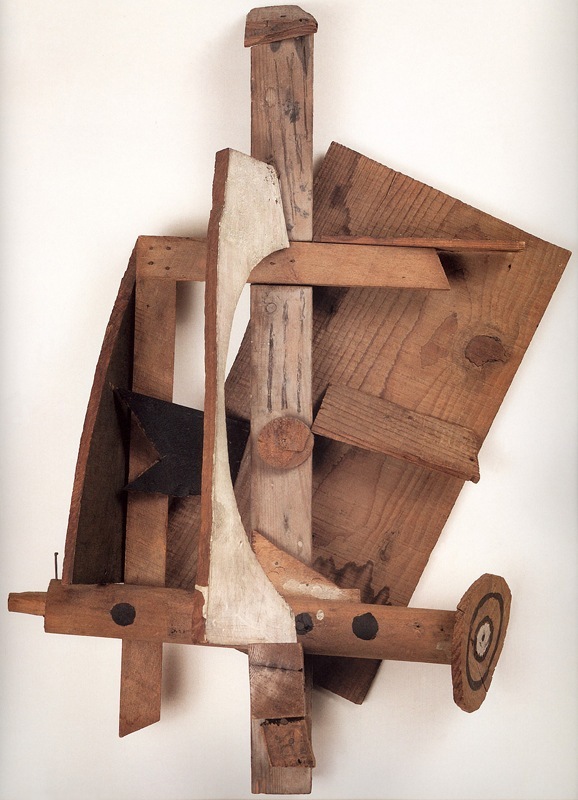 This essay addresses the question of what exactly Noland can be said to have “discovered” and why the concept of “discovery” is crucial in understanding the nature of modernist painting and sculpture. However, what Greenberg refers to as a “paradoxical outcome” may not be paradoxical at all: the search for the “irreducible essence of pictorial art” revealed that pictorial art has no irreducible essence at all. This would imply that the distinction between art and non-art is really arbitrary; there is ultimately no meaningful distinction between objects that are considered “art” (for example, in the political economy of a particular market sector) and ordinary objects in the world. 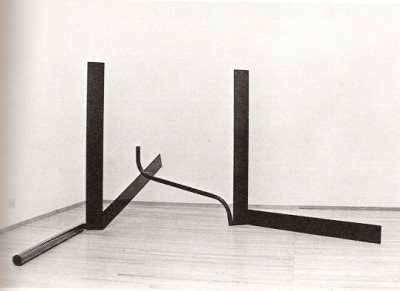 Anthony Caro, “Deep Body Blue”, 1966. Steel painted dark blue, 48 ½ x 101 x 124 inches. Private collection, Harpswell. Courtesy Annely Juda Fine Arts. Photo: John Goldblatt. Michael Fried is today one of the most interesting and perceptive art historians in the world. In the 1960s however, Fried was, along with his mentor Clement Greenberg, perhaps the most insightful critic of contemporary art in the United States, and certainly the strongest advocate for what was then known as “modernist” painting and sculpture, as epitomized in the work of Morris Louis, Kenneth Noland, Jules Olitski, Frank Stella and English sculptor Anthony Caro among others. 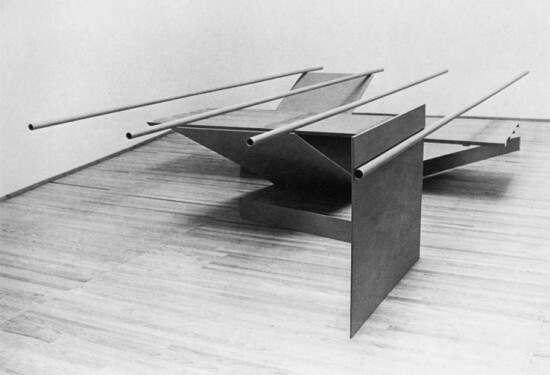 Fried’s best art-critical writing was done between 1965 and about 1972 as short reviews of exhibits published in Art International and ArtForum[i]. These short descriptive pieces are for the most part limited to careful descriptions of specific works of art, but at the same time seem to achieve the quality of philosophical prose, although Fried did not set out to write philosophy[ii]. 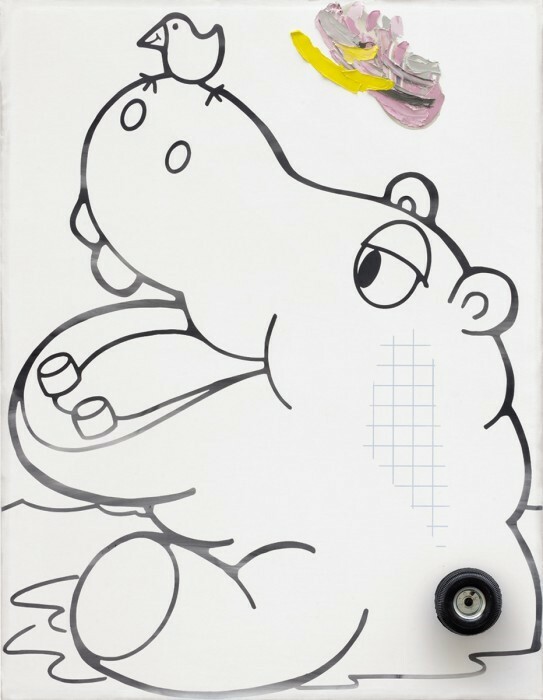 I think that this perception has to do both with Fried’s formidable talents as a viewer of art and with the nature of the objects being described. In this article I will try to convey a sense of what it is about those objects that allows or indeed compels an accurate description of them to be read as philosophical prose. Why do we feel that the meaning of a work of art is something deep – something lying somewhere underneath the surface when after all a painting or a sculpture is really nothing more than surface and shape? Why do we feel as though we need to see beyond and beneath appearances in order to understand a thing that according to its essential nature is appearance? These questions are related to although not identical with the question raised in Wittgenstein’s later philosophy, namely, why do we feel as though our ordinary language, hence our ordinary lives, is somehow inadequate, so that we must locate and pursue its “true” meaning elsewhere, for example in a region either below (in the case of language, its underlying logical structure) or above (in the case of ordinary mortal existence, its redemption in heaven) the place where we actually spend the days of our lives?